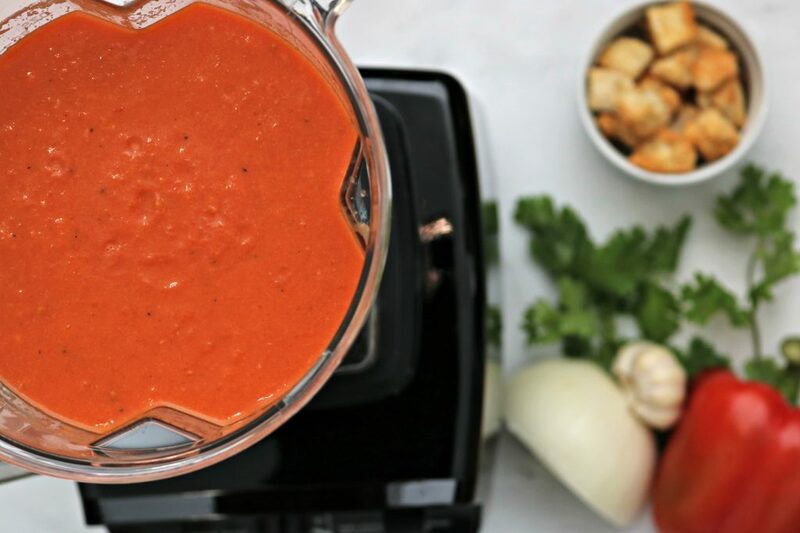 Easy Red Pepper and Tomato Soup in a Blender. Over the years, I have honed my skills as a home cook. As far as ideas, I know what I like and I know what I think tastes good and I put that thought behind every meal I make for mi familia. So far, there have been no complaints yet. One thing is for sure, you need to use the best ingredients to make delicious food, that’s a no brainer. Most importantly, a home cook needs to have the right tools that will save time and work effectively. With the chilly weather we have been having, I’ve found myself craving the warmth of a hearty soup. Not only can you make all kinds, creamy, acidic, sweet or savoury–you have options. A soup that I always turn to is my Creamy Red Pepper and Tomato Soup. While it is relatively easy to make, a blender can make it even easier. One of the tools in your kitchen that should be professional grade is your blender. It’s a time-saver and versatile and it should be able to handle almost any job that you give it. When Sears asked me if I wanted to try out the Kenmore PRO Heavy Duty Professional Blender, I was excited. It promises to deliver all the functionality you’d expect from a Vitamix® Blender but, at a fraction of the cost. Color me intrigued! It has a 1.95 HP motor and 6 Japanese blades that lets you blend, chop, churn, cream and grind. In comparison to its more expensive counterparts, the Kenmore PRO delivers restaurant quality results but for only the price of $149.97. So, how did I like it? I love super simple and easy recipes when it comes to soup. The tastier it is and the faster it can make its way to my belly, I am game. First thing is first though, you have to gather delicious ingredients. When it comes to my creamy Red Pepper and Tomato soup, I like it sweet, a little spicy but, CREAMY. While it is completely optional, you can use crème fraîche to top it off with or in the recipe itself. It helps to balance the acidity and makes for an incredible soup. 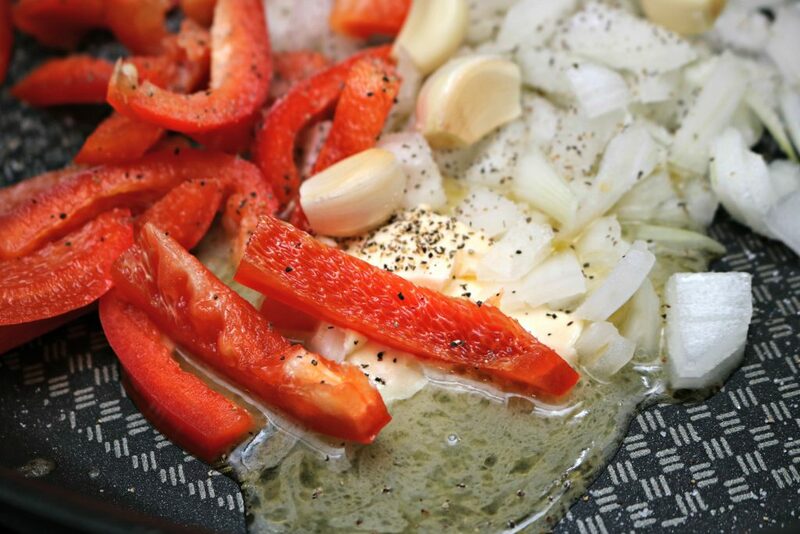 Take your onion and red pepper and chop it coarsely or in quarters. If you want to use the Kenmore PRO, you can place them into the blender in halves and chop on medium speed. Skip the knife altogether! Place the butter or margarine into pan, let it melt and add the salt, pepper, onion and pepper and whole garlic cloves and soften in the pan. 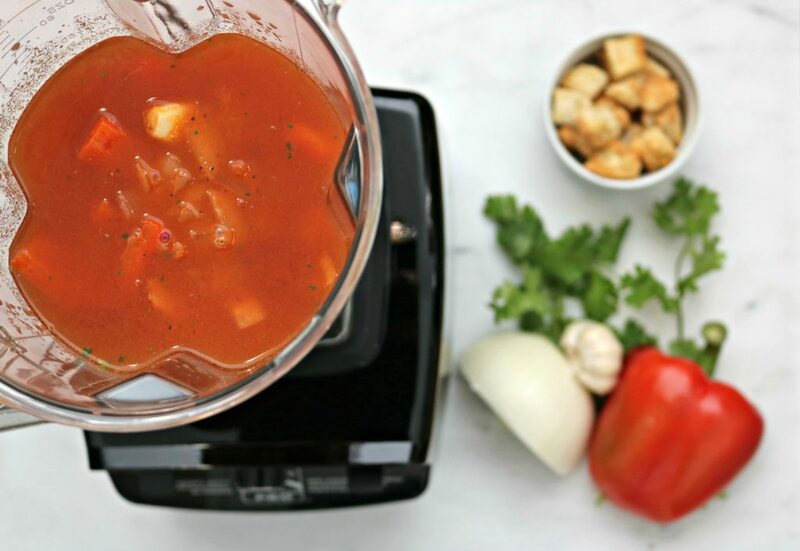 Add the tomato and let it simmer, Pull it when the onions are clear and veggies are soft! Add the veggies to the Kenmore PRO 2L jug, add the water and stock. This is where you can add your crème fraîche or chili pepper flakes to give it a little heat and to make the soup creamier. You can skip this step and just add the crème fraîche as a garnish or mix in the cream after it has been blended. You can also add the chili pepper flakes later or skip altogether. This is personal preference! Secure the lid and blend on low speed. You can gradually increase the speed to maximum and blend for about 5 minutes. Bend until smooth or desired consistency and until it is steaming. There is a speed setting that heats up the food for you, the blades get the heat going for you! How cool is that? Now, all you have to do is serve and enjoy! 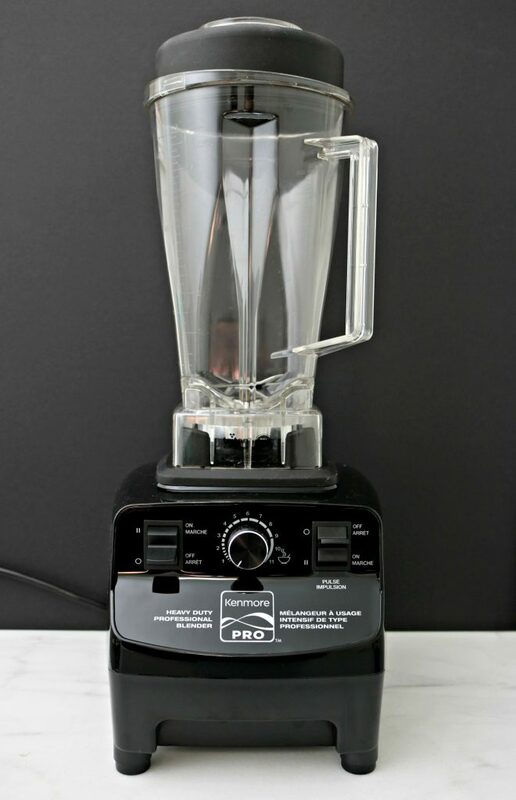 Let me tell you, you can notice the difference between this blender and a low or mid-range. Just in the way that it blends, it does it so effortlessly. It doesn’t jumble or struggle to blend the ingredients. The sound is a bit loud but, for me, it doesn’t matter when it comes to kitchen appliances. Seeing the blender do its thing and hearing that loud sound is something that I love. Why? It’s so cool to see how well it works! The built-in cord system on the base of the blender is genius and I adore it! I like to have my blender on the counter and having a long cord is a bit annoying, I like that I can store away the cord until I need it! 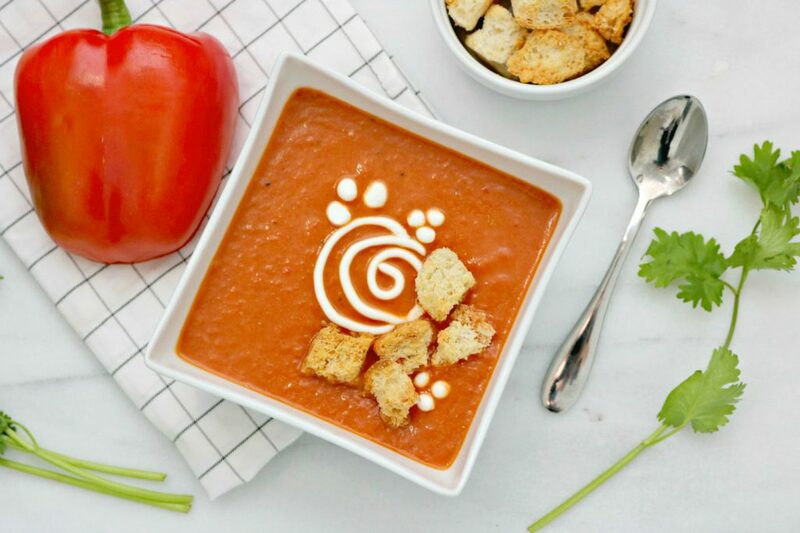 A delicious creamy red pepper & tomato soup topped with crème fraîche. Perfect for cold days. Chop onion or red peppers coarsely or in quarters. If you want to us the Kenmore PRO, you can place them into the blender in halves and chop on medium speed. Place the butter or margarine into pan, let it melt and add the salt, pepper, onion and pepper and whole garlic cloves and soften in the pan. Add the tomato and let it simmer. Pull it when the onions are clear and veggies are soft! Secure the lid and blend on low speed. Gradually increase the speed to maximum and blend for about 5 minutes, until smooth or desired consistency and is steaming. Top with croutons, crème fraîche and mix in chili pepper flakes. Optional of course but, delicious! One lucky Whispered Inspirations reader will WIN a Kenmore PRO Heavy Duty Professional Blender! A value of $149.97 but, works and looks like a high-end professional blender! This is open to Canada and opens on December 8th, 2016 and closes on December 20th, 2016. I cannot wait to make hot and cold recipes with my Kenmore PRO. I already have some ideas brewing! This Kenmore PRO Heavy Duty Professional Blender is EXCLUSIVE to Sears. 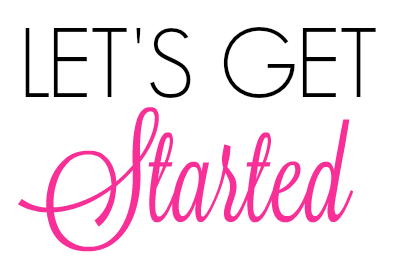 Take a look at our recipes! What would you make with the Kenmore PRO? I would make broccoli and cauliflower soup! I would make pea soup! I like how it has a built in cord base! We would make a squash soup or a corn chowder. Great for winter nights! Love how this blender heats right there! How convenient! Broccoli cheese soup in no time! I love that it can crush ice and the size of the jug! What is there not to like about it. I would start with fruit smoothies and then make my way up to more elegant stuff like soups.. I wonder if he would mash my potatoes and make them creamy? I would make carrot soup with the Kenmore Pro blender and the feature I like best is the 2 l jug. Id make some smoothies for sure! The first thing I would make would have to be potato and leek soup! YUM! 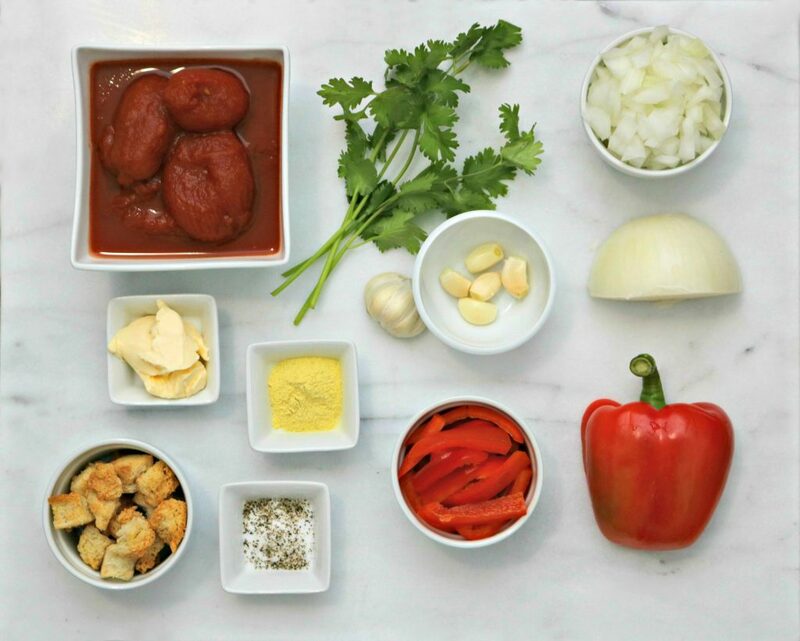 I will make my Thai-inspired squash curry soup. I would make mixed fruit smoothies the most. I would love to make a Butternut Squash soup recipe that I have that needs to be pureed. I would make Cream of broccolii soup. first thing i would make is creamy tomato soup! I love how it heats up right on the spot! I would make milkshakes and I love that it you can hide the cord away. I would make a smoothie first. I love that it can crush ice. I like the sound of Japanese-made blades. Pretty sturdy. I love making soup in the winter and would make cream of mushroom first. I would use the blender for smoothies the most. Oh I would make this Soup recipe! My favorite feature is the size nd I would make lots of broccoli soup. I would like to make a broccoli cheddar soup in this blender. I would make a potato soup or corn chowder or a bacon n bean soup or….the list goes on and on! I will definitely be making cream soups this winter. I would make potato leek soup! Love that it can chop and grind ice at the push of a button! Would love to try the recipe you have posted sounds amazing! I made this soup for supper and would to do it in the blender next time. I like that it can crush ice…I too love pina coladas. I would love to make soups and smoothies with this blender! I would love to try and make soup in it! Probably a creamy carrot soup. I would make soups the most with the blender. Would make broccoli soup and plenty of smoothies. Love making soups, so I would most likely make either a squash soup or a broccoli soup. Thanks for the giveaway! Would love trying to make a smoothie, love the hide away cord! Smoothies! Love that it can crush ice with ease. I would make a banana smoothie! I am seeing a nice winter soup being made! A Roasted Pepper Tomato would be delicious! I would make a butternut squash soup! I would make carrot soup with the Kenmore Pro blender and the feature I like best is the 2 litre jug. I would make butternut squash soup, one of our family favorites! 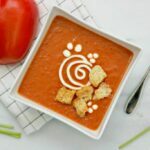 The creamy red pepper soup looks like something I would try to make. Squash soup would be one if the first things on my list ! I like the fact that it can crush ice and frozen fruit. I would first try making soup! A great quality blender has been on my wishlist forever! I would make cream of vegetables soup first. I would try sweet potato soup. I love that it has a 2l jug! I love the feature where it heats it up for you! Great for soups. I would make a yummy mango smoothie with this blender! I would love to make fresh juices too. I like the size of the jug. 2 L is a fair amount. I would make broccoli soup with the Kenmore Pro blender and the feature I like best is the 2 l jug. I would make a blueberry smoothie. I will make my morning shakes and a potato and leek soup. I would love to make ginger and carrot soup in this blender. I would like to use it for smoothies and like that it will blend/crush ice and frozen fruit properly. I would make some vegetable soup in the blender. I would love to make some cream soups,the weather is so chilly! I would definitely be making smoothies! I would use my new Kenmore Pro blender to make curry pumpkin soup. My family would use it frequently to make smoothies. I would make a banana smoothie first. I like that it is heavy duty with Japanese made blade. Love that it will heat the food up, very handy especially if it is soup that you are making. 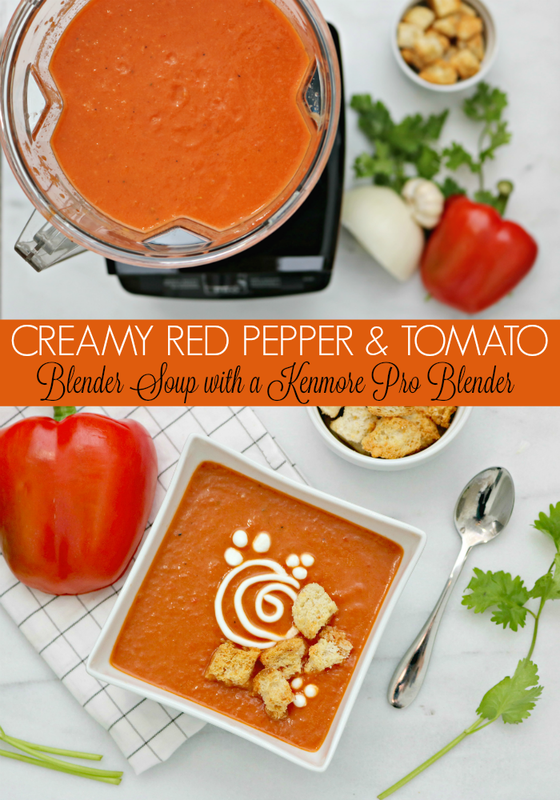 I would make tomatoe soup with the Kenmore Pro blender and the feature I like best is the 2 l jug. Would love to try making a yummy Peanut Butter Banana Smoothie with it! I would like to make soup, I love soup. I will make falafal with the KenmorePro. Even though it is a small feature, love that hidden cord feature, hate having to wrap cords around all the small appliance so I like this. I just love how it heats up soup in minutes! The cord storage is such a simple but so useful feature! And I love the price point compared to other comparable brands! I would make salsa with the Kenmore Pro. I have a coconut impossible pie recipe that you mix in a blender so I would probably make that too. I would make a cream of potato soup. Yum! I would like to make a nice, smooth garlic hummus with the Kenmore Pro! I would make salsa with the Kenmore Pro blender and the feature I like best is the 2 l jug. Would definitely be making lots of soups with it if I won! The Japanese blades that go so fast they heat up the soup is beyond amazing! I would make carrot soup with the KenmorePro blender and the feature I like best is the 2 l jug. I would make a squash soup. Would love to make lots of creamy soups to help get through this cold winter! I think it would be great for a nice Broccoli-cheese soup! I would make a cheesecake with frozen asparagus and crumbed cookies. I would make some delicious roasted red pepper hummus in my Kenmore Pro Blender. I would like to make peanut butter banana power smoothies for breakfast!